A power op-amp followed by two output transistors. 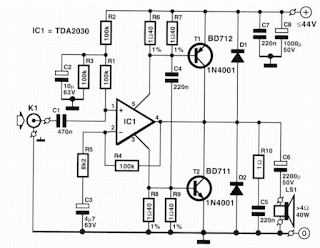 The audio signal is applied to the non-inverting input of power op-amp IC1 TDA2030 via socket K1 and capacitor C1. 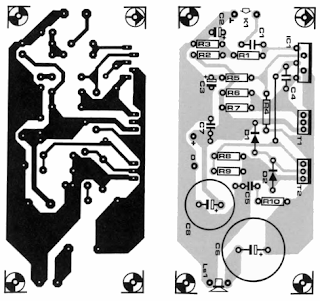 The supply current to the IC varies in accordance with the input signal. Consequently, there will be a similarly varying voltage drop across resistors R6, R7, R8, and R9 since these are in the supply lines to the op-amp. 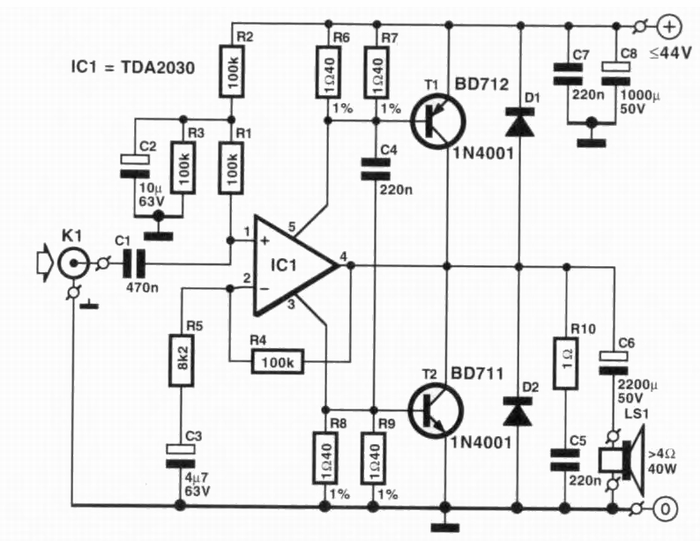 0 Response to "40 Watt TDA2030 IC Based Audio Amplifier Circuit Diagram"